Rapt games studio is looking for an Experience ASO Expert to support in planning, implementing, and optimizing Apps/Games and marketing campaigns across multiple channels. This role will suit anyone from a digital marketing background who is experienced in paid search & organic ASO. •	Research and identify new opportunities to scale digital campaigns, both in the form of growing current channels and exploring new ones while understanding the potential impact on the business. •	Clearly, communicate the successes and failures of digital marketing campaigns to the team and management. •	Write social media and email marketing content, generate and/or collaborate with the creative team to gather creative assets, and manage related processes. •	Monitor social media trends, best practices, and techniques to ensure correct account spend/growth, identify new opportunities and optimize user experience through analytics and A/B testing. •	Strong familiarity with key social platforms including Facebook, Twitter, Instagram, Pinterest, and YouTube. 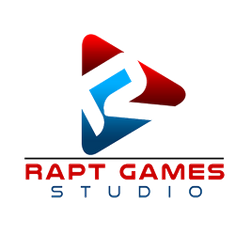 Rapt games studio is a software house engage in making games and applications on Google play store. We have a team of qualified Designers, Android developers, unity developers and ASO Expert for app store marketing, We make quality Games and applications for user engagement and acquisition. We provide value digital Products to play store users. Improve your chance to get this job. Do an online course on IT, Computing and Technology starting now. Hi Mr., Reach more people by sharing this job with your network. Get updates on latest IT & Technology Jobs in Pakistan - Islamabad.